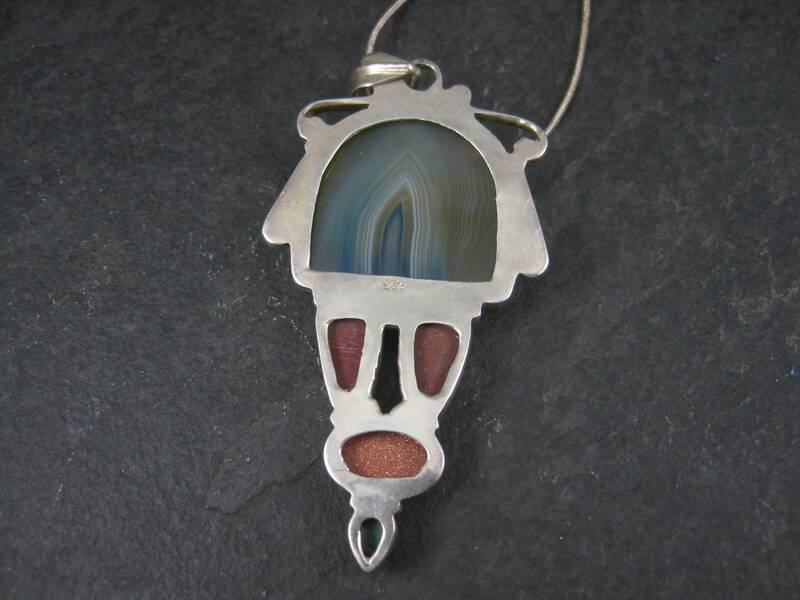 This gorgeous 90s pendant is sterling silver. 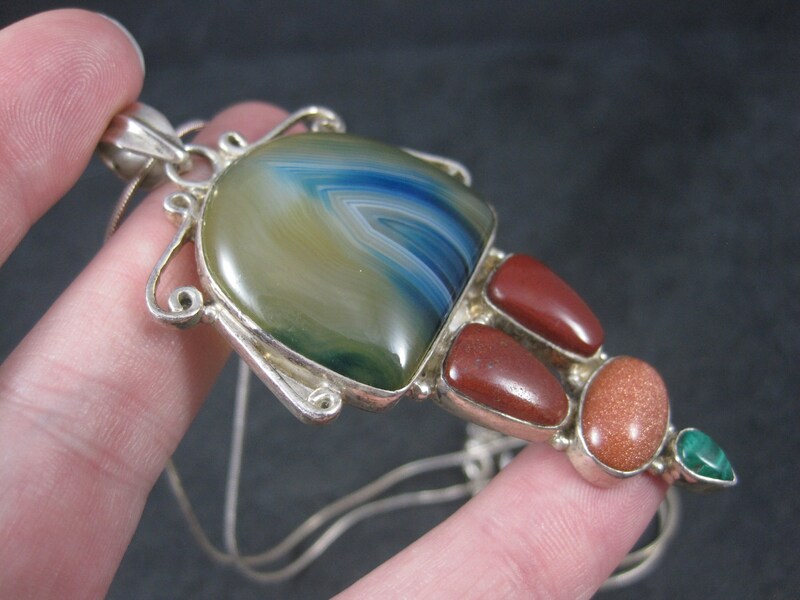 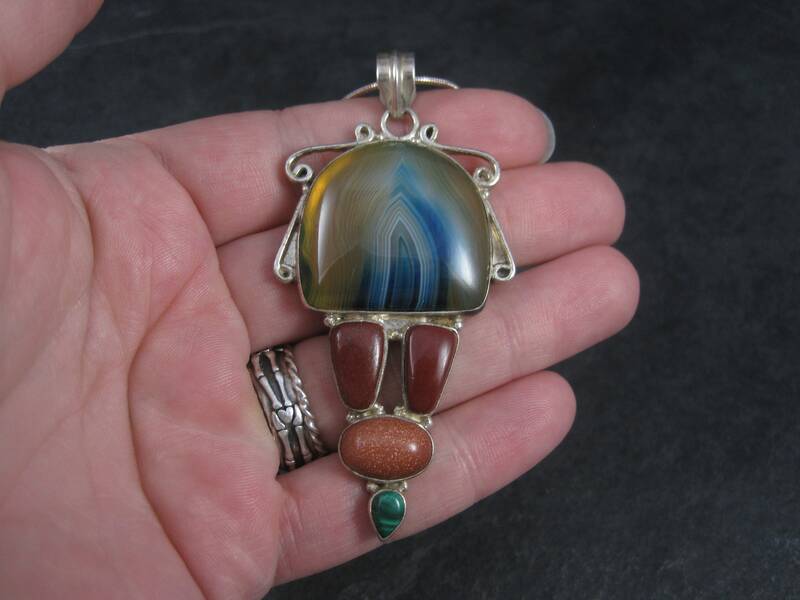 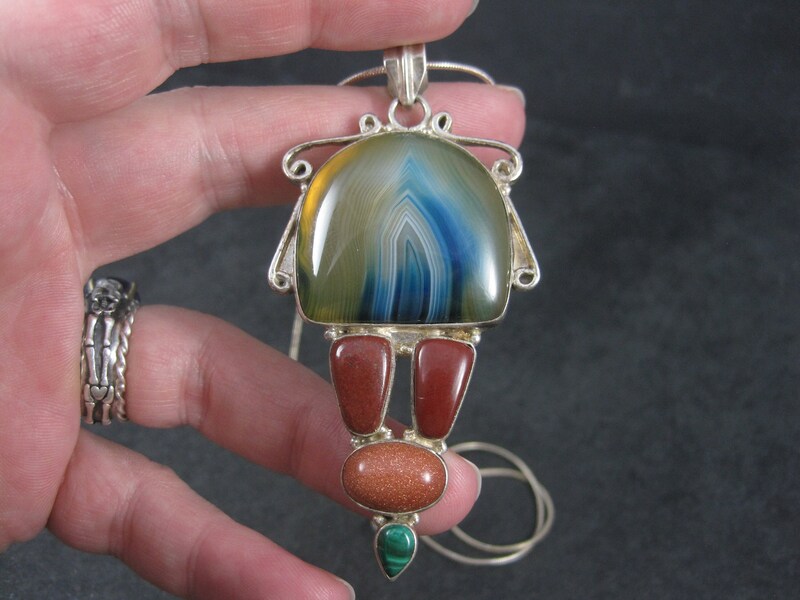 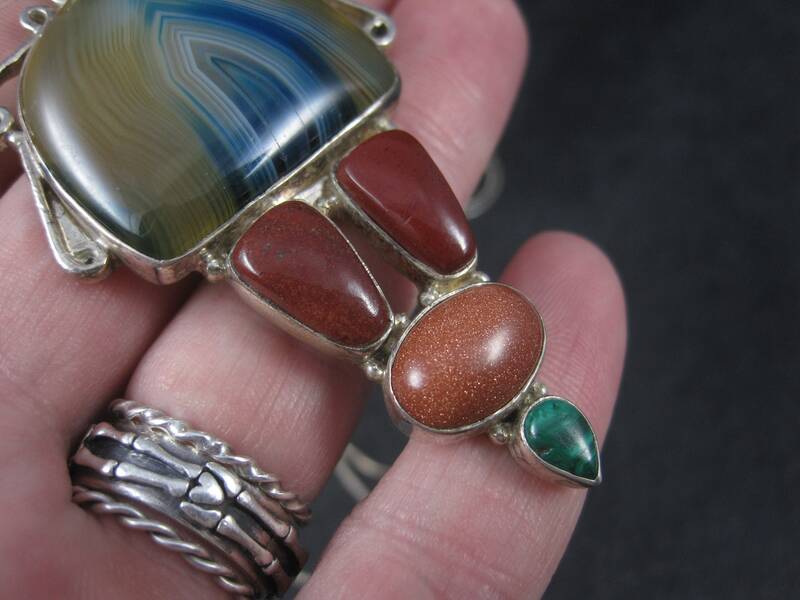 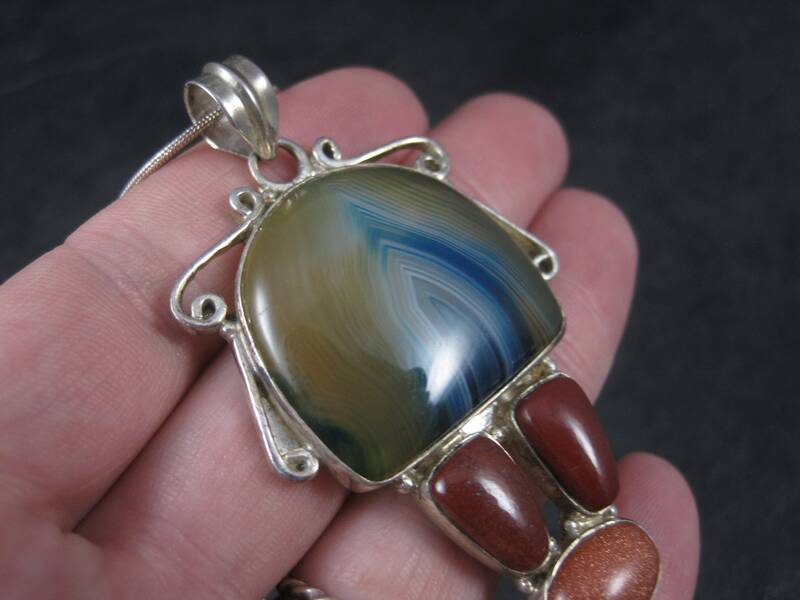 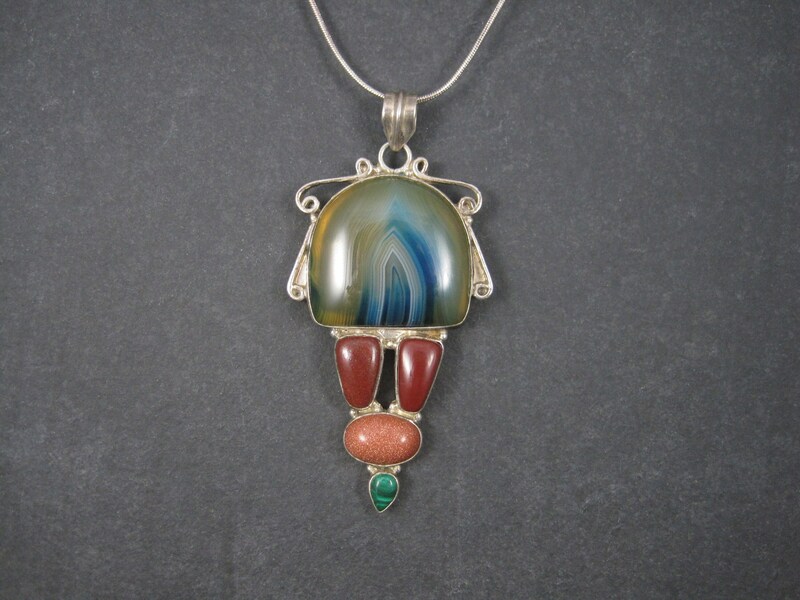 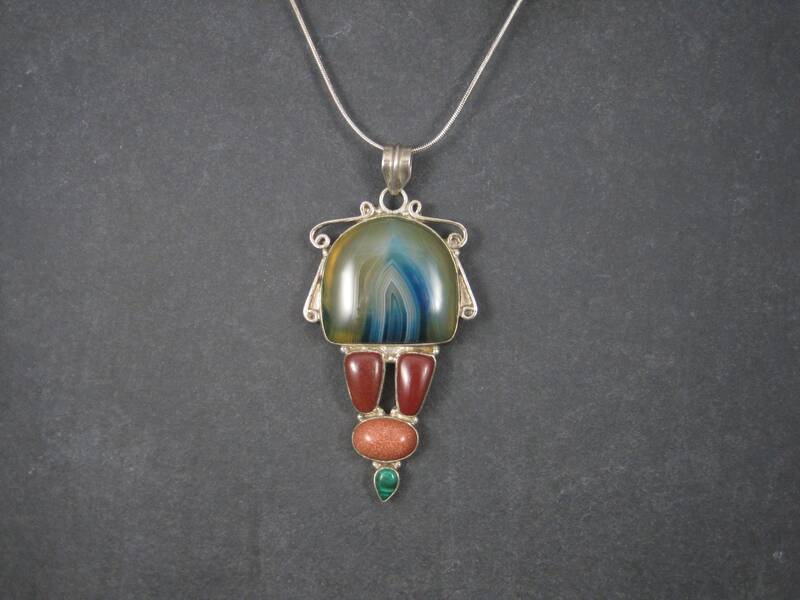 It features a combination of banded agate, jasper, goldstone and malachite gemstones. 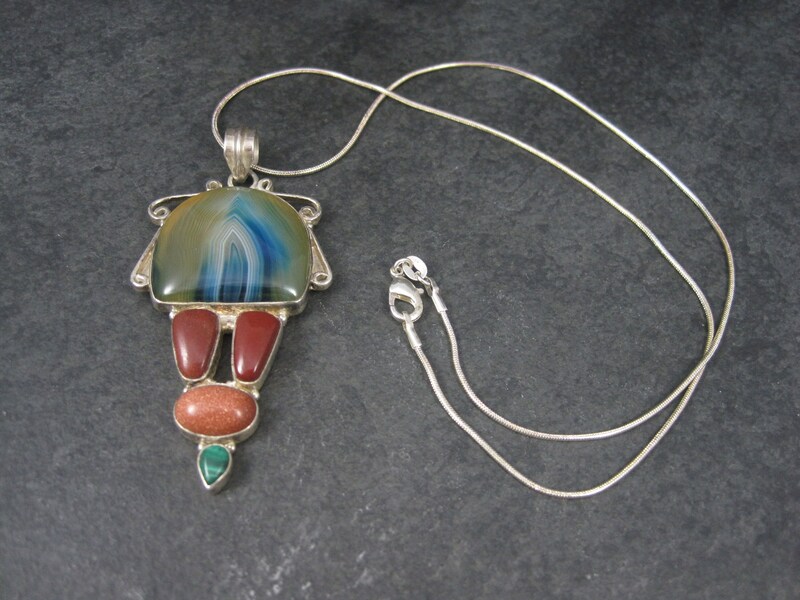 Comes on a 19 inch sterling silver chain.